Deadline: April 3, 2019, by 11:59 PM. Find more information and the application link here. Interested in volunteering for the 2019 Symposium? Apply to volunteer here. The Eighth Annual Undergraduate Research Symposium hosted 382 undergraduates engaged in original research, creative work, and community-based projects from over 71 majors, 13 minors, and eight colleges in the Erb Memorial Union for a day of oral and poster presentations, creative work sessions, Academic Residential Community presentations and a new Data Stories presentation format! 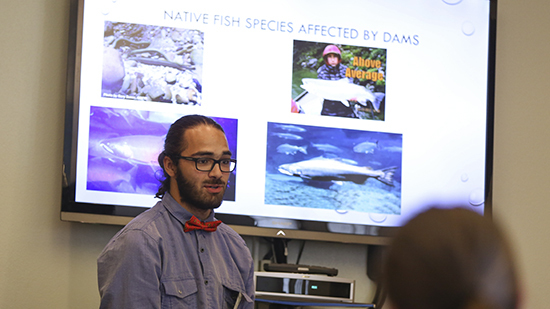 The Undergraduate Research Symposium acknowledges the 260 faculty mentors who sponsored the presenters throughout their research and presentation process. The 2018 Program includes the Symposium agenda; Concurrent Sessions schedules for the oral, creative work, data stories, and Academic Residential Communities (ARC) presentations; a venue map for poster locations; list of presentation abstracts with presenters information; presenter and faculty mentor name lists; and statistics and funding sources. In 2018, we introduced a new event to our lineup--a Kick-Off Conversation that took place the evening before the Symposium. We featured Paul Peppis--Professor of English and Director of the Oregon Humanities Center--who provided remarks and led a discussion on the topic, "Humanities Research Matters." 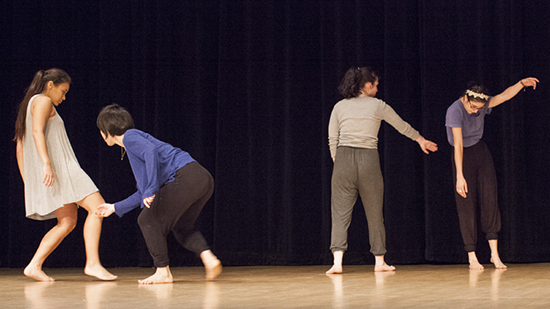 By participating you will have the opportunity to display your work to faculty and students and have an experience similar to participating in a research conference! People are friendly and want to hear about your research. It's fun too! Want to see examples of past poster, oral, or creative work presentations? 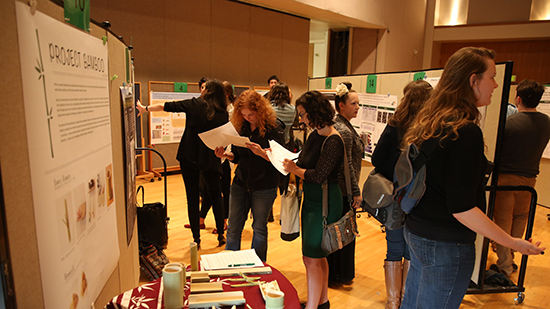 Check out our archives to see previous topics, gain inspiration, and get a feel for what presenting is like at the Undergraduate Research Symposium. The Associated Students for Undergraduate Research and Engagement (ASURE) is a student group that provides a full range of support and resources for prospective and accepted undergraduate presenters, encompassing abstract writing, poster and slideshow design, oral and poster presentation, and public speaking.